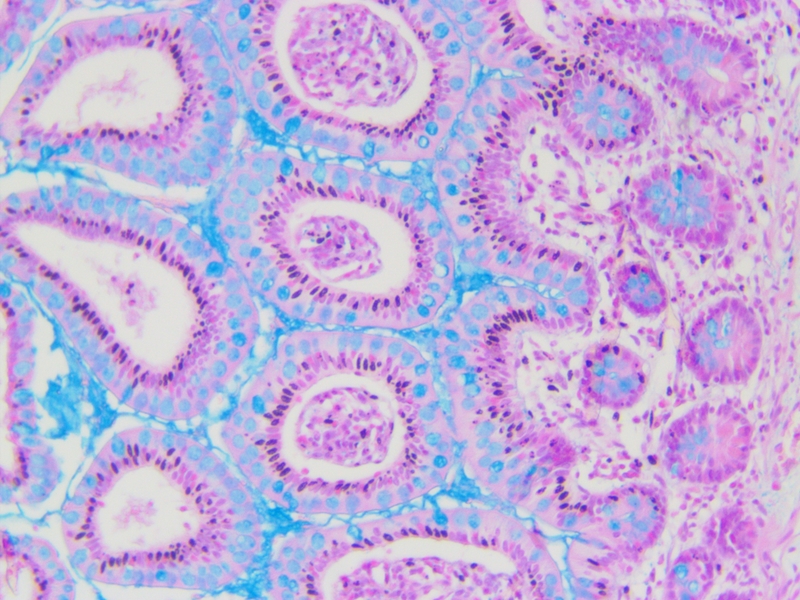 After staining a series of small intestine slides with Alcian blue pH2.5 for controls I noticed little black dots in the tissue. Upon closer look, I believe those black things are fungi. The alcian blue stain still looks good and slides can be used for that stain but I’ve never seen fungi like this before.